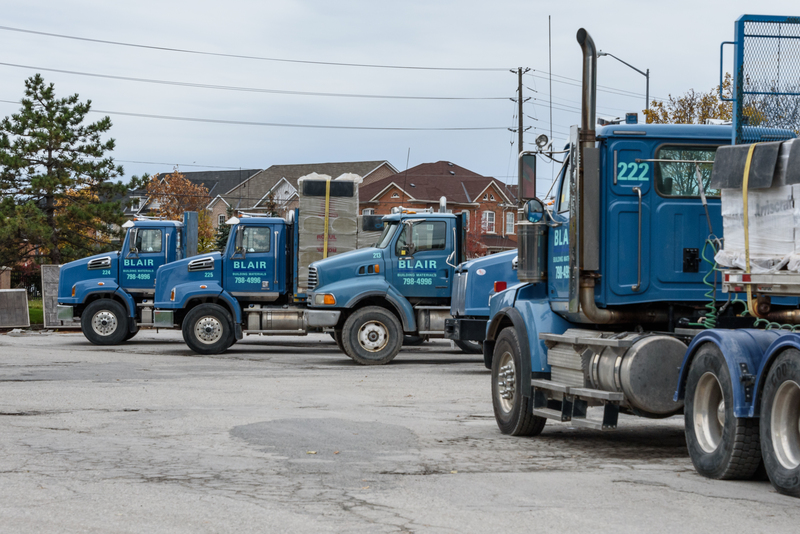 With the largest fleet of radio dispatched delivery trucks including those with Drywall Cranes, Hi-abs and Moffat Mounty Fork Lifts, we service The Greater Metropolitan Toronto area from Whitby in the east, Hamilton to the west and north to Barrie. Our experienced, professional drivers are ready to deliver the materials you have ordered, to your site when you need them most. 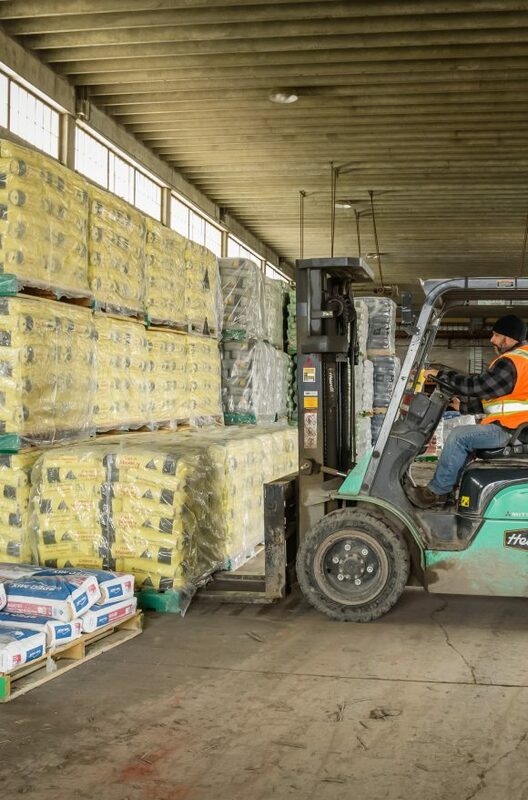 Our Certified Fork Lift Operators can be seen throughout our yard, with over 45,000 square feet of warehousing space, loading materials onto our trucks for delivery to your site and unloading the vast amounts of brand name materials from industry leaders, stocked by Blair. Monday to Friday: 6:30 a.m. to 5:30 p.m.
Blair is the premier supplier to the Concrete and Drain Contractors in the residential market place. Check out Section 8 of our Products page for a complete listing of Pipe and Fittings. 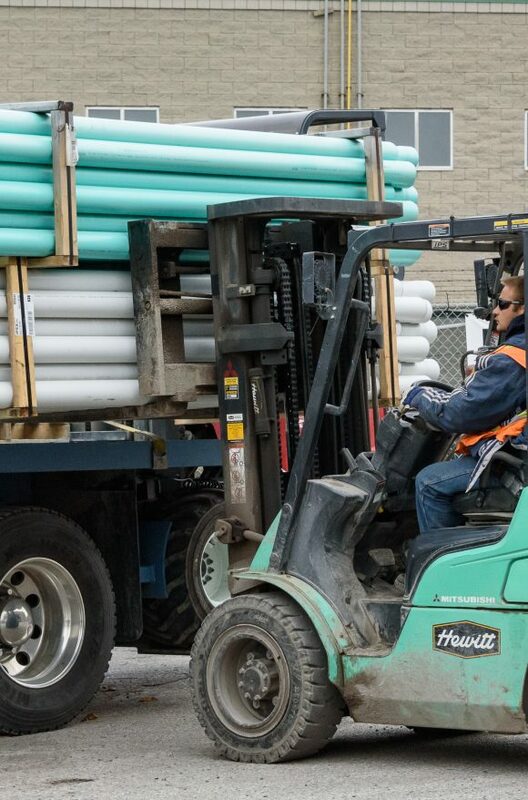 Our specialized delivery trucks with a crane, are loaded with a variety of products (sonotube, pipe, wire mesh and Styrofoam SM insulation from Dow Chemical) and ready for delivery to your site. 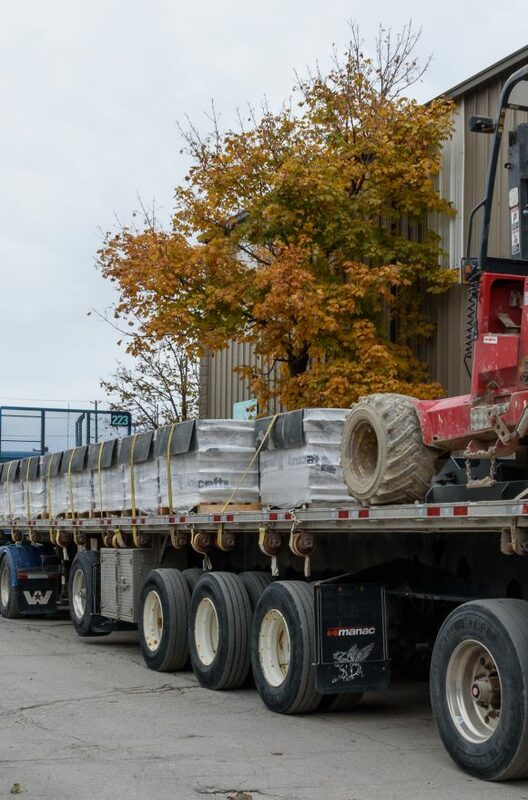 Skid loads of St. Marys and CRH Cement products are ready to be taken from our extensive stock and delivered right to your job site. 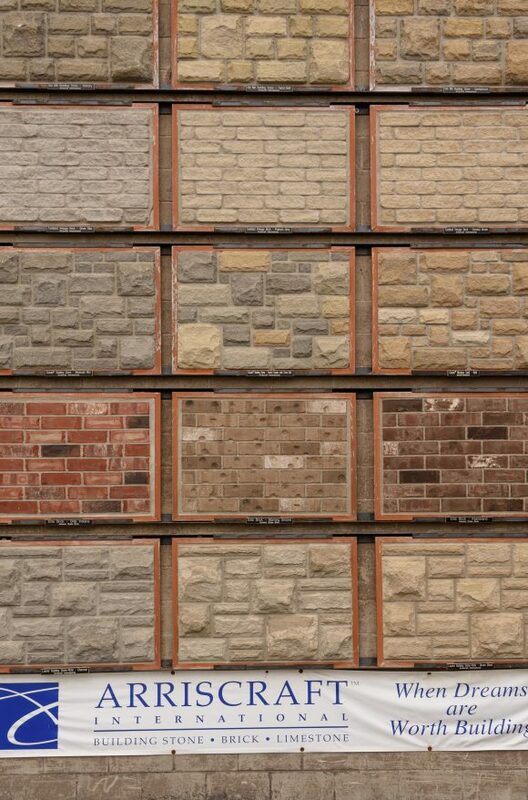 We offer a complete line of Arriscraft Stone and Brick as well as a custom cutting service for window and door surrounds. Drop by our showroom to see the new colours and styles for you to choose from.